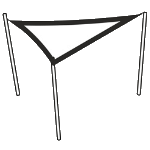 Rectangular parasols are dedicated for all those narrow spaces such as balconies, terraces and streets where the optimal use of the shade counts. 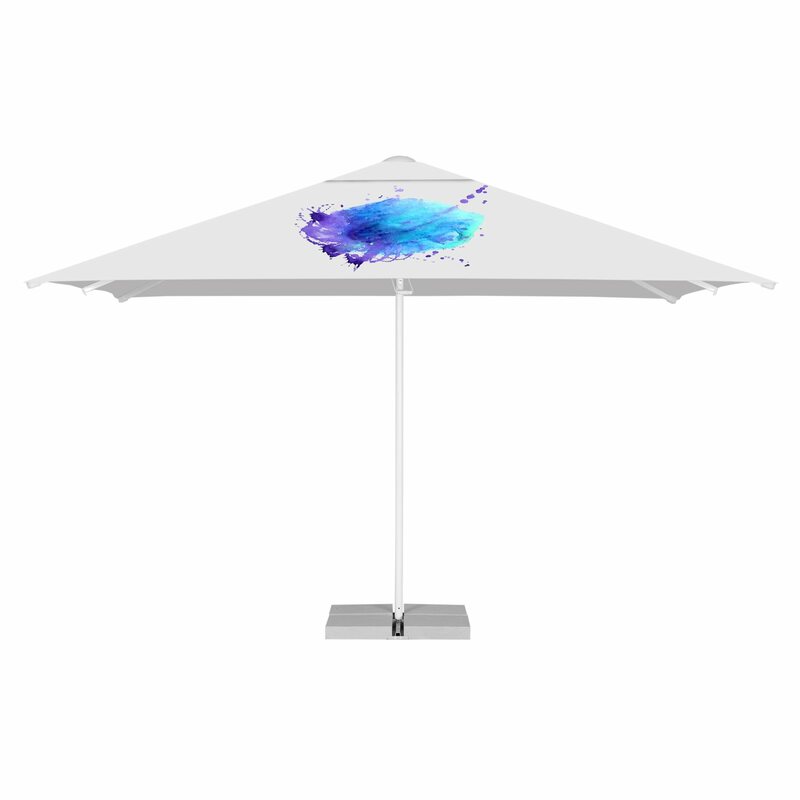 The parasol frame is made of white, powder coated, durable aluminum. Telescopic system allows for easy opening and closing. 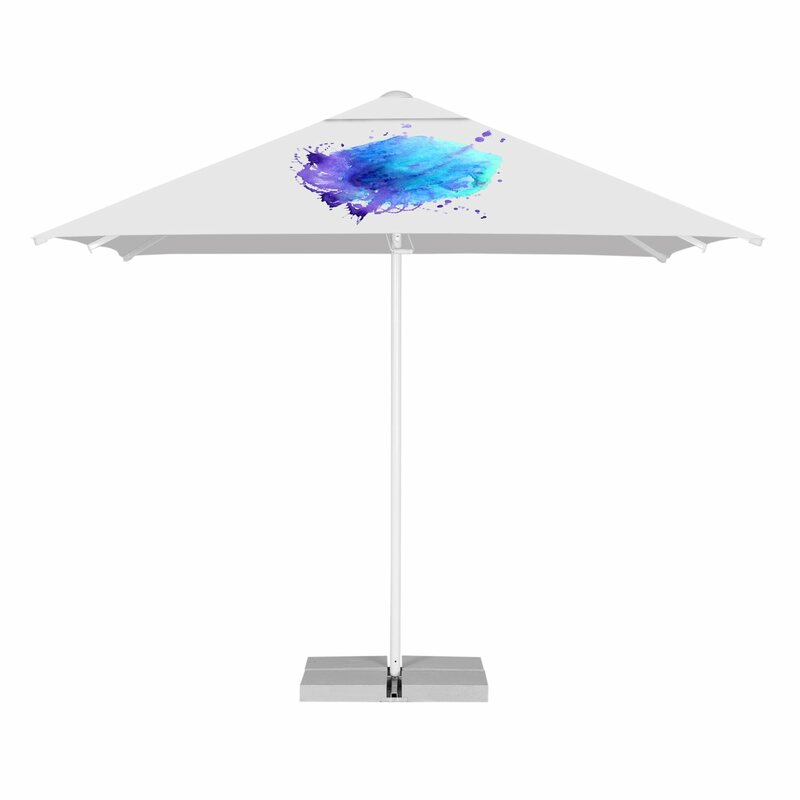 Advertising parasol canopy is made of waterproof and water resistant woven fabric that can be personalised with any design. 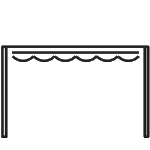 As a standard, at the top of the canopy there is a valve that ensures proper air curculation. 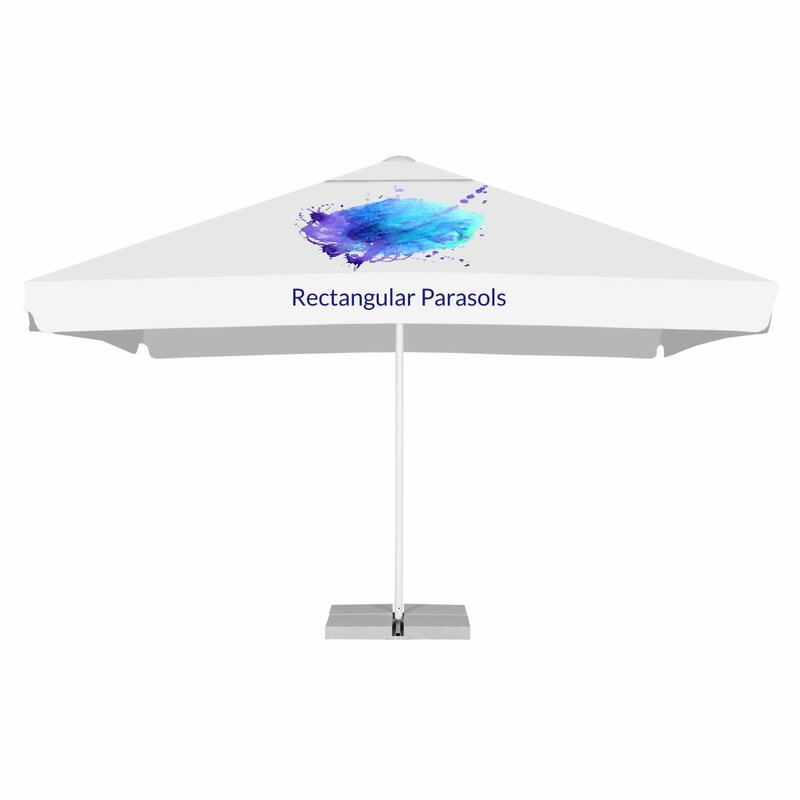 Rectangular parasol can be mounted to a cross base with concrete weights or a permanent in ground base PDZ. 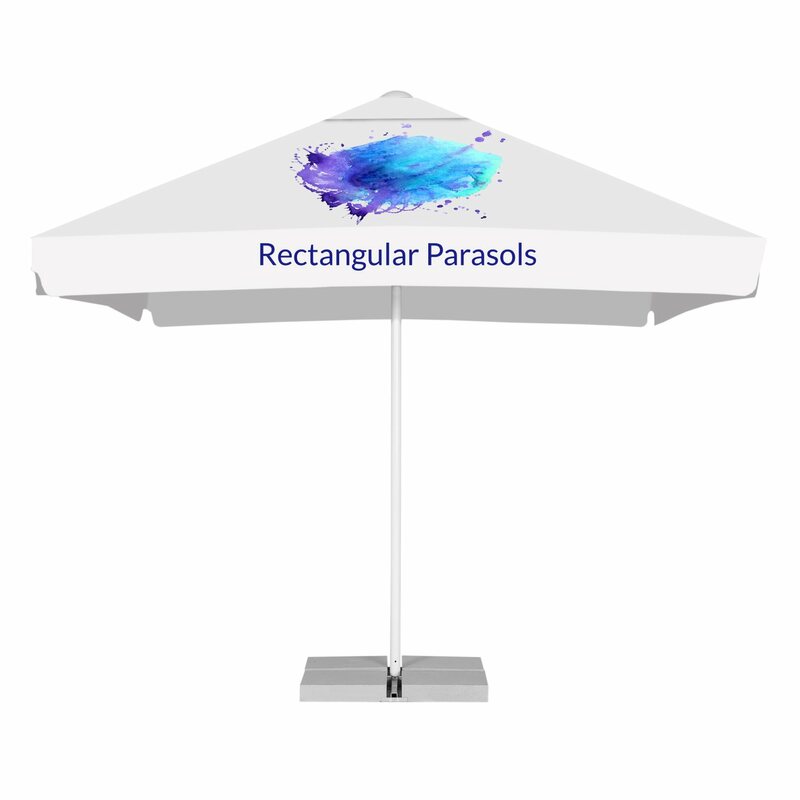 The rectangular shape of the parasols allows for combining several parasols into one roof.